With the Create feature, you can create PDFs from documents containing important or private information, and use its security features to keep your files safe as well as control access to them. By choosing to use a PDF document, you are assured that your file will always look the same and will be compatible with any PDF software no matter what system or software it was created with. As PDF documents become an essential part of your work, you may find that you sometimes need to edit their content. 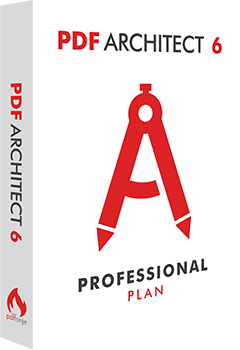 PDF Architect's powerful Edit feature allows you to make modifications directly within your PDF file without the need to export it or copy the content to another format. Working with multiple documents, particularly if they are all different formats, can be a headache. With PDF Architect's Insert feature, you can merge all the files you are working with into one PDF document making it easier to manage and share. 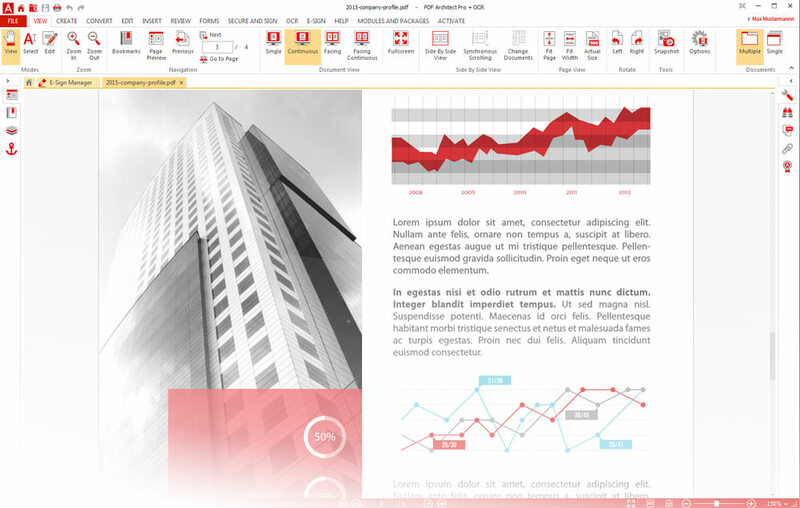 Organize and categorize your PDFs by inserting and customizing page elements as well as other such details into your document. Although PDF is one of the most convenient and portable file formats, it's sometimes necessary to convert existing PDF documents into other types of files or back to their original format without loss of information. Use our powerful Convert feature to instantly convert your PDFs into several popular file formats. PDFs are known for their tight format locking abilities, but you can now also review and add notes to work on a document with your peers. The Review feature is specifically designed to help you collaborate on your documents using the review tools to annotate your PDFs as well as compare two documents. PDF Architect's Forms feature lets you create beautiful, fillable forms from scratch or fill in pre-designed ones as well. Create invoices, survey forms plus much more with as well as custom PDF form documents for any need. With the vast number of files being emailed and shared every day, document security is more important now than ever. Protect and secure your documents digitally with passwords and permission levels with the Secure and Sign feature. You can also sign your documents with a digital signature. This service allows you to prepare, send and track documents for e-signature directly within the application. Our Electronic signature method creates a manifest to archive the signature ceremony. The signature is legally binding and enforceable under applicable EPA and other federal requirements pertaining to electronic signatures. Electronic signatures and records are just as good as their paper equivalents and therefore are subject to the same legal scrutiny and authenticity that applies to any written agreement.